If you have visited my blog before then you may know that I am on the hunt for the perfect loose powder. I have an oily complexion, so setting my foundation and concealer is essential to me and that is why I want to find the world’s best loose powder. 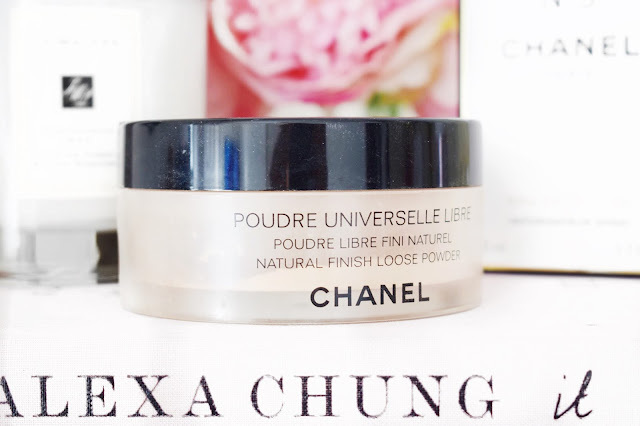 If you have visited my blog before, you will probably have seen my countless reviews on different powders and even though I have liked many of them, I am still yet to find a favourite that I go back to time and time again, but that may have all changed with this Chanel Poudre Universelle Powder, that I have had my eye on for a very long time. Every time I go into Boots to get a regular top up of my favourite Chanel No5, I always end up coming out with a new beauty product and this time it was their loose powder. I had seen this mentioned a couple times online and it seemed to be a nice powder, but I hadn’t really seen much about it. Usually I like to know the ins and outs of a product before I go ahead and buy it, but I loved the look of this one straight from the off and I just really wanted to try it. Plus, I have tried hell of a lot of other Chanel beauty products over the years and I always love the look of them, so I knew this one would be a winner. The first thing that I will talk about in this review is the packaging and that is because that is what I always talk about first in all of my reviews. I really like the packaging of this powder. It is very similar to other loose powders with the product being in a tub with a sieve on top to filter out the product gradually, with a screw on lid. I would say that the product itself is very large and chunky, but it is also incredibly luxurious, and it just feels more expensive and fancy from the look and feel of the packaging. I have to be honest and say that this Chanel Loose Powder really isn’t that different to any other powder that I have tried in the past. But, what I really enjoy about this one in particular, is that it seems to be very perfecting on the skin and makes my skin appear so smooth, even in the areas where I have large pores like around my nose. I also love that when I apply this it seems to really mattify my products and it helps with my oils through the day and I don’t feel the need to blot half as much throughout the day as I usually would with other powders. One of my main concerns when I first picked up this powder was that the powder wasn’t completely transparent. When you shake some of the product into the lid, you can see that it is quite pink in tone. I am not usually a fan of products that are pink based because I have an olive-based complexion, but I have to admit that when I apply this to the face, it goes on transparent and you cannot see any hint of pink on your face. Whether the pink tone in the powder would be more noticeable on somebody that is fairer than I am is still to be proven, but it works really well for me. There really isn’t much more that I can say about this powder that I haven’t already said. It is a great powder, you get a lot of product for your money, the quality of the powder is lovely, it keeps me matte all day and whenever I reach for this it feels very luxe. I really would recommend this powder and I know that it is going to be one that I reach for hell of a lot over the next couple of months. I will leave a link to this down below in case you want to check it out for yourself. If you have tried this powder, make sure to leave me a comment and let me know your thoughts on it and if you would repurchase it! The fragrance isn't great but it does fade after a while and then the powder is really nice and long lasting!